The Bangko Sentral ng Pilipinas yesterday said the global ransomware attack over the weekend had no impact on any Philippine financial institution even as it urged all banks and nonbanks to step up their defenses. Reports said that at least 100,000 groups in 150 countries had been hit by online extortion attacks as of Sunday. Last April, the BSP ordered all financial institutions in the country to implement MFA, especially for sensitive transactions, by September amid bigger risks coming from cyber attacks. The BSP earlier explained that the MFA employed a combination of at least two authentication factors, namely inherence or something that is inherent to the user such as fingerprint and retinal pattern; knowledge or something that the user knows such as password or PIN, and possession or something that the user has in his/her possession, including payment card or a one-time password generated through a security token or sent via SMS. In a new memorandum issued just last Monday, the BSP reiterated the need to beef up cyber defenses in light of the recent global ransomware attacks. Similar relief measures were extended by the BSP to banks/NBQBs with HOs and/or branches/EOs/MBOs in provinces/cities that were affected by natural calamities, such as last year’s El Niño Phenomenon and Typhoon “Lawin”. e. Non-imposition of monetary penalties for delays in the submission of supervisory reports. f. Allowing banks to provide financial assistance to their officers and employees who were affected by the calamity including those assistance that may not be within the scope of their existing BSP-approved Fringe Benefit Program. h. Allowing banks to restructure with the BSP, on a case-to-case basis, the outstanding rediscounted loans of end-user borrowers affected by the calamity. The electronic processing of checks shall commence on 20 January 2017. The Philippine Clearing House Corporation (PCHC) is set to implement the clearing of checks via electronic presentment through its Check Image Clearing System (CICS). Under the CICS, only the digital images of checks and their electronic payment information will be transmitted to the paying bank, allowing a shorter turnaround time for funds to be credited to the depositors’ accounts. According to PCHC, depositors who transact with CICS-compliant banks/branches may already withdraw on the next banking day against their validated check deposits. Meanwhile, banks that are still on paper-based check processing will continue to render the service under existing timelines. The public is likewise encouraged to get in touch with their banks about the new system and reminded on how to properly prepare checks under the CICS. To achieve faster transition to the new process, the BSP enjoins the remaining non-CICS-compliant banks to take necessary measures to meet the technical requirements of CICS. The implementation of CICS forms part of the reforms espoused by the Bangko Sentral to achieve a more efficient and safe payment system as this is critical to the promotion of the country’s Financial Stability. 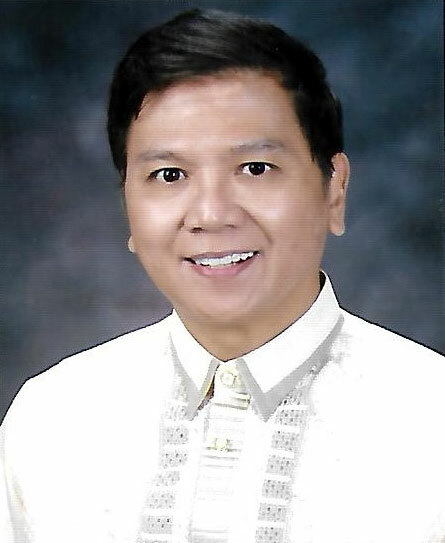 In line with the thrust of the Bangko Sentral ng Pilipinas to create an enabling regulatory environment for innovations and allow banks to exponentially expand reach and serve clients more efficiently, the Monetary Board recently approved the guidelines for new bank service channels and relaxed existing regulations on deposit taking activities outside bank premises. Under the new regulations, banks are now allowed, with prior BSP authorization, to serve clients through cash agents contracted by banks to accept and disburse cash in its behalf, facilitating online self-service deposits, withdrawals and fund transfers, as well as bills payment. Cash agents can also perform Know-Your-Customer procedures as well as collect and forward application documents for loan and account opening. They may also sell and service insurance as may be authorized by the Insurance Commission. These cash agents are typically cash rich third party entities with many outlets that conduct regular business in fixed locations anywhere in the country, such as convenience stores, pharmacies and other highly accessible retail outlets. Cash agents enable banks to leverage on innovative digital solutions to serve a wider client base, particularly in the low-income and rural areas where there is limited commercial incentive to establish a full branch or even a micro-banking office (MBO). Through this new cost-efficient service channel, serving the currently unbanked and low-income segments can become more viable and sustainable for banks. Data from the BSP shows that more than 36% of all the municipalities in the country have no banking presence although most of these are served by a variety of non-bank financial institutions like pawnshops, cooperatives, and lending investors. In addition to these new service delivery models, the Monetary Board also relaxed existing regulations on offsite deposit servicing as well as deposit solicitation, by removing highly prescriptive operational requirements and conditions before banks may engage and offer these services. The amended regulations provide banks with more flexibility in designing appropriate and cost-efficient ways to render deposit pick-up and delivery services and as a result, enhance client experience. To ensure the safety and soundness of banks as well as to uphold consumer protection, the guidelines emphasize banks’ responsibility for ensuring the adequacy of risk management and internal control systems for these liberalized deposit servicing activities. The BSP will evaluate the quality and sufficiency of these risk management and control systems before granting authorization to perform banking services outside bank premises. 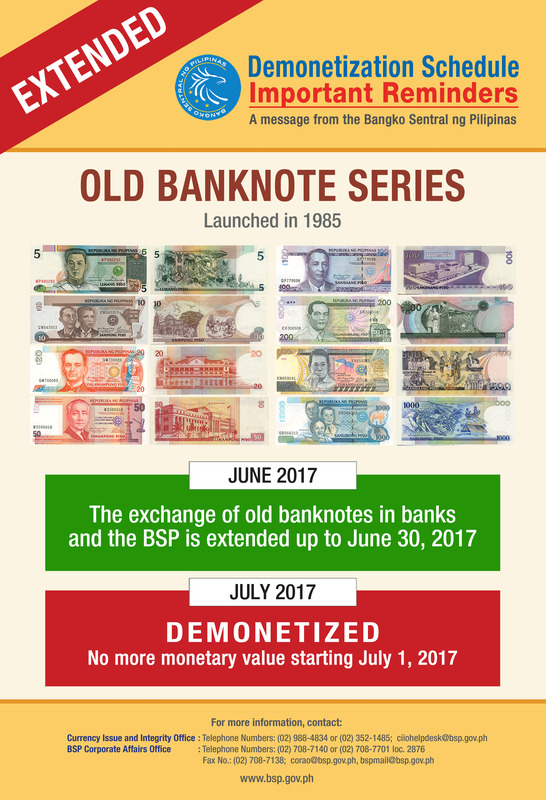 Consistent with the BSP’s policy of promoting a competitive banking environment and ease of doing business, the Monetary Board (MB) approved the amendments to the guidelines on the establishment of branches to provide banks with more flexibility in expanding their branching network to strategic locations. The new regulation removed the use of theoretical capital as well as the combined capital requirement tied to geographic location in evaluating branch applications since the branch network size and location of head office are already embedded in the latest minimum capital requirement for banks. The MB also reaffirmed the general thrust of allowing banks to establish branches anywhere in the Philippines, including in the cities previously considered as restricted areas, namely, Makati, Mandaluyong, Manila, Parañaque, Pasay, Pasig, Quezon and San Juan. The move is aligned with the initiatives on banking system liberalization which include the removal of the branch moratorium in restricted areas and the gradual lifting of the suspension on the establishment of new domestic banks. Anchored on their overall business model and strategic direction, smaller banks may now establish branches in Metro Manila subject to higher capitalization and special licensing fee if said branches are to be located in the cities previously considered as restricted areas. The policy initiative is aligned with the BSP’s banking reform agenda that is anchored on the promotion of sound risk management systems and Financial Stability. Stand-alone thrift banks (TBs), and rural and cooperative banks (RCBs) remained well capitalized at end-December 2015. The Capital Adequacy Ratio (CAR) of TBs stood at 19.80 percent at end-December last year, higher than the 19.56 percent posted by the banks a quarter earlier. The TBs’ CAR rose quarter-on-quarter as the growth in the banks’ total qualifying capital (TQC) outpaced the rise in their risk weighted assets (RWAs) during the period amid profitable operations. 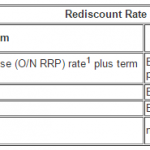 The RCBs, on the other hand, posted a CAR of 18.50 percent at end-2015. The RCBs’ CAR decreased from the 18.77 percent recorded at the end of the third quarter last year as their RWAs rose at faster rate than their TQC quarter-on-quarter. The capitalization of stand-alone TBs and RCBs remained mainly composed of Tier 1 which refers to common equity and other qualified instruments. At end-December 2015, Tier 1 ratios of stand-alone TBs and RCBs stood at 18.25 percent and 17.36 percent, respectively. The stand-alone TBs and RCBs accounted for 3.2 percent of the Philippine banking system’s assets at end-2015. These entities adhere to the Basel 1.5 capital framework for stand-alone banks with simple operations. The banks’ strong capital position indicates their continued effort to set aside sufficient buffer against unexpected losses that may arise in times of stress. This is in line with the mandate of the Bangko Sentral ng Pilipinas to promote financial stability. The good news is that the Philippine economy, as measured by Gross Domestic Product (GDP), grew by 7 percent in the second quarter of this year – April to June. Not so laudatory is the observation that this has not been inclusive growth, that the statistical gain has not been felt by most Filipinos who have seen no improvement in their daily lives. The 7 percent quarterly rise – compared to only 5.9 percent in the same period last year – is largely attributed to the massive spending in the last presidential election campaign. As the election spending is over and we are back to the usual pace of economic activity, we can expect the rise in GDP in the rest of this year to return to normal. But for now, we can take pride in knowing that in this second quarter of the year, the Philippines appeared to have the fastest growth among the countries of Asia, together with India which also had 7 percent. China had 6.7 percent; Vietnam, 5.6 percent; Indonesia, 5.2 percent; Malaysia, 4 percent; and Thailand, 3.5 percent. By way of further comparison, the world’s leading economies had even more modest second-quarter GDP growths – the United Kingdom, 2.2 percent; Singapore, 2.1 percent; the United States, 1.2 percent; and Japan, 0.2 percent. The Philippines’ 7 percent GDP covered the last three months of the Aquino administration. “The previous administration gave us a strong and stable economy that we can build on further by maintaining the sound macro-economic, fiscal, and monetary policies already in place,” new Socio-Economic Planning Secretary Ernesto M. Pernia said. The challenge now is for the new Duterte administration to build on this second-quarter growth and to make the growth inclusive. Pernia said the new administration has already pinpointed one area that must be developed – the farming and fishing sector, which has about 10 million workers and their families. “Knowing that the majority of poor Filipinos rely on this sector for their livelihood, the administration will prioritize agricultural development,” Pernia said. Agriculture had been sorely ignored by the last administration, suffering five consecutive quarters of decline. In the last quarter of April-to-June, while the overall GDP was up 7 percent, agriculture declined 2.1 percent. A great deal of work is thus awaited from the new Secretary of Agriculture Emmanuel Pinol. DESPITE the rapid growth of the Philippine economy in recent years, a large number of Filipinos still have no meaningful access to the formal financial system—a situation that makes it more difficult for them to move up the socioeconomic ladder and also leaves them vulnerable to scams. Thus explained Bangko Sentral ng Pilipinas Governor Amando M. Tetangco Jr., who said that regulators would renew their drive toward greater “financial inclusion” in the country in his last 11 months in office. 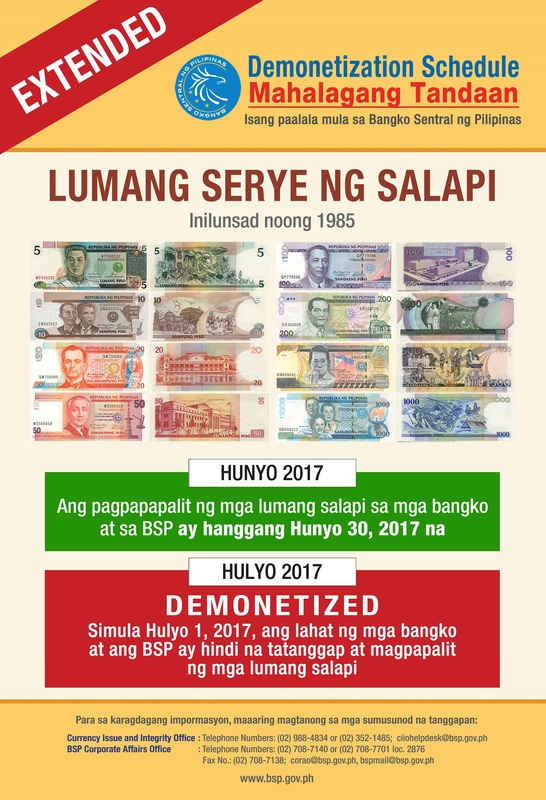 Tetangco—who ends his second and final term as central bank governor in July 2017—said the BSP was focusing on educating more Filipinos to help them become more financially savvy as well as in implementing structural reforms that would make the formal banking system more accessible to more citizens. Regulators estimate that a third of the country’s municipalities do not have access to banking offices. And while 47 percent of Filipinos borrow money regularly, most do so from informal lenders, relatives and friends. Only 4 percent of Filipinos borrow from banks. Tetangco explained that it was not enough to have a large number of banks and branches, but stressed that regulators have to ensure that these banks’ services were available even to Filipinos who live far from large metropolitan areas. The BSP chief explained that the government’s strategy to bring the benefits of economic growth to more Filipinos has three “legs”, namely greater access to financial services, improved financial education and financial consumer protection. At present, the BSP chairs the National Strategy for Financial Inclusion, which is an initiative shared by 14 government agencies. Five foreign banks from Asia are expected to set up operations in the Philippines following the liberalization of the banking sector. Bangko Sentral ng Pilipinas (BSP) Deputy Governor Nestor Espenilla Jr. who expressed this hope, however, did not identify the banks. But in a text message to reporters on Tuesday, he said that one application currently pending, while another is in process. Yet another, he said, would soon apply, while two others have expressed interest. “Five more possible. These are all Asian listed banks,” said Espenilla. The banking sector began attracting foreign players after the country passed Republic Act (RA) 10641, or the Act Allowing the Full Entry of Foreign Banks in the Philippines, in July 2014. The act lifted the prevailing equity limit of 60 percent for foreign partners and allowed 100 percent ownership of the voting shares in an existing domestic bank. 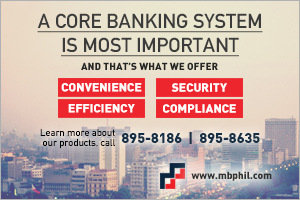 Foreign banks may now apply to operate in the Philippines either as a branch or as a wholly owned subsidiary. The BSP’s Monetary Board will consider strategic relationships and reciprocity rights in accepting the applications of foreign bank entrants. Besides BSP’s overall assessment, a separate assessment by the regulators in the banks’ respective countries of origin will also be required of the foreign applicants. THE CREDIT Information Corp. (CIC) has granted full accreditation to three credit bureaus to offer rating services using information from a national registry that is expected to come online by yearend. In a Subscription Agreement signed yesterday, the CIC formally accredited local firm Credit Information Bureau, Inc., as its special accessing entities (SAEs) along with CRIF Philippines (of Italy’s CRIF S.p.A.), Compuscan Philippines (of South Africa’s Compuscan), bringing the number of accredited bureaus to four. CIC President and CEO Jaime Casto Jose P. Garchitorena said six credit bureaus were provisionally accredited as SAEs by the CIC, meaning these firms have the qualiﬁcations of SAEs, but have not yet completed the requirements of accreditation as per SEC Memorandum Circular No. 7, Series of 2015. United State’s TransUnion Information Solutions, Inc. was the first to execute the subscription agreement with the CIC last May 5. Meanwhile, state-controlled CIC is also awaiting to formally accredit “by end of August or sometime in September.” Credit Bureau Singapore and Dubai’s Dun & Bradstreet South Asia Middle East Ltd. to become SAEs for the envisioned national credit information system. Republic Act No. 9510 or the Credit Information System Act provides for the establishment of a comprehensive and centralized credit information system. It requires banks, life insurance companies, credit card companies and other entities providing credit facilities to regularly submit basic credit data to the CIC. “Accreditation of this new set of SAEs is our offer that the CIC has a viable business model, that there is a need for credit information and other value added services in the financial sector and that the CIC is now set to move forward with our objectives and partnerships to reinforce its virtues of making credit easily available to the public through the alliance if both credit registry and bureau,” Mr. Garchitorena said yesterday. The CIC chief said the accreditation was done both to assure the quality of services that the SAEs will deliver and to change the public’s perception about borrowing or utilization of credit. The USAID Advancing Philippine Competitiveness project and the International Finance Corp. (IFC) of the World Bank have been supporting the CIC as technical advisors in accrediting the credit bureaus. “The interest of the international credit bureaus to do business in the Philippines is a good indication of confidence in the positive vision and direction of the CIC and the Philippines’ Credit Information ecosystem,” he added, noting that five of the six SAEs are foreign firms. The accredited companies will have access to the data and use them to create credit scores, reports and other products, which lending institutions would then use to evaluate the creditworthiness of individuals and businesses. The SAEs, while having presence in all major cities and economic centers, will also have different specific markets to their products ranging from serving banks to specialized lending in the unbanked market. Through this partnership with the credit bureaus, the CIC expects to have a wider scope in all categories of the mandated submitting entities, Mr. Garchitorena said. IF INVESTORS and businesses were to take their cue from the new administration’s planned economic agenda, then the logical move is to invest outside Metro Manila and the bustling business centers of Cebu and Davao. Based on the recent pronouncements by President Rodrigo Duterte and his Cabinet, there will be an aggressive thrust to ramp up economic activities in the rural areas, with special focus on calamity-stricken communities. In doing so, the new administration believes it will be able to target the marginalized and achieve the elusive dream of an economic growth that will be felt by those who need it most. This further opens a myriad of opportunities for fresh investments in new industries in these rural areas, which have traditionally relied on the likes of agriculture, fisheries, furniture and handicraft for their livelihood. As it is, industries like information technology and business processing outsourcing (IT-BPO) and tourism have long been present in the provinces. The IT-BPO industry, for one, has been at the forefront of stimulating growth in the countryside. Earlier this year, the Department of Science and Technology-Information and Communications Technology Office (DOST-ICTO), the IT and Business Process Association of the Philippines (IBPAP), and Leechiu Property Consultants (LPC) released its new list of Next Wave Cities. These 10 cities have been identified as prime, prospective hubs that will not only provide alternative locations for IT-business process management companies seeking to expand outside Metro Manila, but will also support the stellar growth of the industry. A scorecard was used to rate a location’s ability to enable and support the entry and growth of IT-BPM companies. These so-called Next Wave Cities (NWCs) were identified as Baguio, Cagayan De Oro, Dagupan, Dasmariñas, Dumaguete, Lipa, Malolos, Naga, Sta. Rosa and Taytay. Also identified were 10 Emerging Cities, which have the potential to attract IT-BPM locators and soon become next wave cities. These were Balanga, Batangas, Iriga, Laoag, Legazpi, Puerto Princesa, Roxas, Tarlac, Tuguegarao and Zamboanga. In identifying these locations, the industry is able to spread its economic benefits to provinces where capable talent is available. At the same time, this will stimulate the growth of other industries and sectors as the presence of outsourcing and offshoring companies will likely spur the development of more residential and commercial projects, retail, dining and entertainment complexes, among others. For the Department of Trade and Industry, there are unquestionable investment opportunities in rural areas. Trade Secretary Ramon Lopez said there were bright prospects in the agriculture sector, for example. The plan is not just develop the production side but also strengthen the processing of high value added products, including coconut oil and coffee. The DTI also wants to lure more manufacturing activities to the countryside. It wants to amend the Investment Priorities Plan (IPP) to include a provision on investing in least-developed and calamity-devastated areas. This means that companies that will choose to locate in identified areas will be given incentives such as income tax holiday, duty free importation of capital equipment, and extra tax deductions for research and development activities. It is believed that should the agro-business and manufacturing industries take off, these will naturally stimulate the growth of other industries such as logistics, trucking and freight services, design-based services, and utilities—all of which are envisioned to generate quality jobs for the countryside. Similarly, the development of these industries will fuel the growth of residential, commercial and industrial projects, as well as spike the demand for consumer goods, on the back of rising per capita income in provinces. Consequently, the increased demand will prompt businesses to set up more retail, dining and entertainment establishments or mall complexes, all of which could generate even more jobs for the host province and surrounding communities. Other promising industries are shipbuilding and mineral ore processing, Lopez added. The DTI also wanted to highlight the inclusive business (IB) model in the IPP, which means that large companies will engage the poor and low income communities as partners, customers, suppliers and employees in their operations not out of charity but because good business sense. This means, for example, that a micro, small and medium sized enterprise (MSME) will be tapped to supply a particular product such as onions for a large fast food company, or it can provide the chairs and tables for corporate offices. A wide array of opportunities for trade and investment in the rural areas has always been available and can potentially be highly lucrative given the right support from both the private sector and the government. But for companies to start tapping into these prospects, the government will have to make it more economically feasible for them to make that leap from the city to the countryside. On the part of the DTI, Lopez said the agency would prioritize the needs of MSMEs, given the Duterte administration’s commitment to promote inclusive growth. The DTI also has its own projects aimed at pushing growth outside traditional business centers. For instance, the Board of Investments had bared plans to set up an “ecological industrial zone” in Leyte to help boost economic activity in the province, and ensure sustainable employment in the region, which was devastated by Supertyphoon “Yolanda” almost three years ago. The proposed zone will promote the integrated development and competitiveness of the copper and related industries, given rehabilitation efforts in the region. There are other concerns, however, that need to be addressed to fulfill the dream of decentralized growth. The government, for example, must ramp up infrastructure projects such as roads, seaports and airports; boost science, technology, research and development to ensure the availability of skilled and talented labor pool; secure continued good governance; further ease the process of starting and doing business in the country, and ensure connectivity, safety and security.